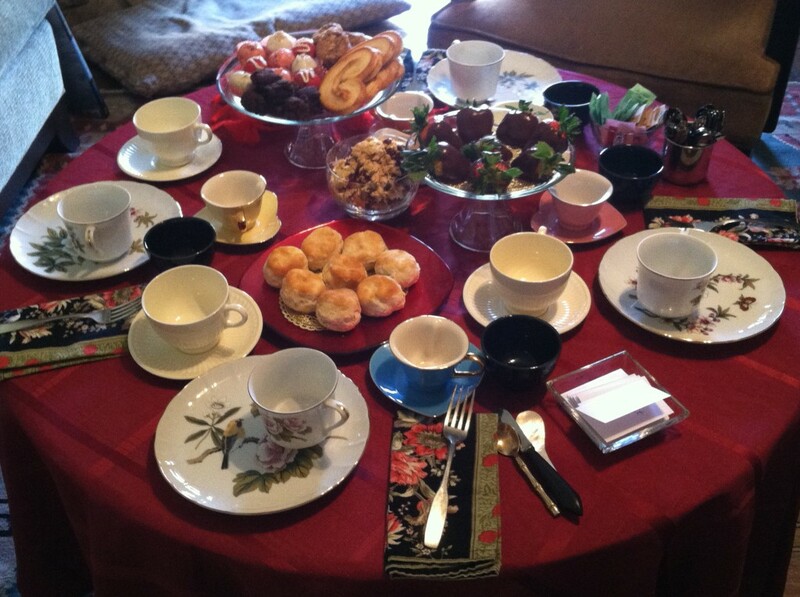 If you love to entertain and feel comfortable organizing and facilitating the party, then our “Tea Party in a Box” will be perfect for you! 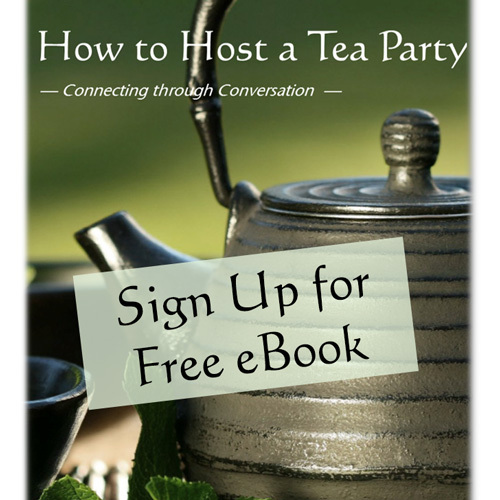 Each “Tea Party in a Box” comes with 3 tea blends of your choice plus 3 tea infuser balls together with instructions on how to prepare a perfect cup of tea, menu suggestions & recipes and party theme ideas. I’m available by phone to offer suggestions or brainstorm ideas to make your event special! The cost of “Tea Party in a Box” is only $29. If, however, you have more to do than time and you’d like me to put the party together and come to facilitate the tea service and conversation, I’m available. My services can be on the simple end: I bring the tea, prepare and serve it while facilitating a conversation topic of your choice. You provide the food and teaware. Or, if you’d like more assistance, I can work with you to decide on a menu. Arrange for a caterer to provide the food. I’ll bring the tea and teaware AND facilitate the conversation. 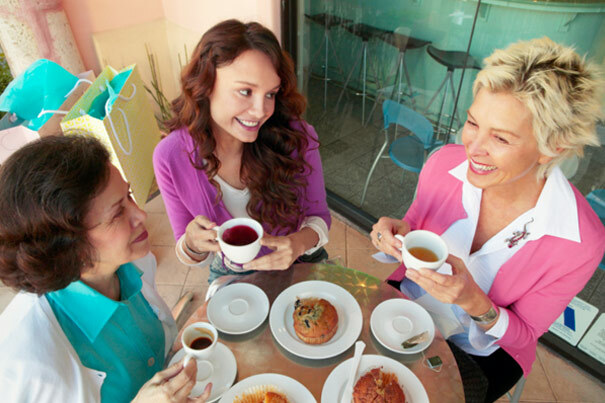 Topics could be a discussion about tea, its’ benefits, types, history OR it could be themed. How about a Craft & Tea night? Or Tea & Tarot? Let’s brainstorm a fun theme for you and your guests.